8. Complete the checkout process and in 1-2 weeks you’ll receive your shipment!!! NOTE: On the www.mybarnlife.com website, look under the Client Logos tab. 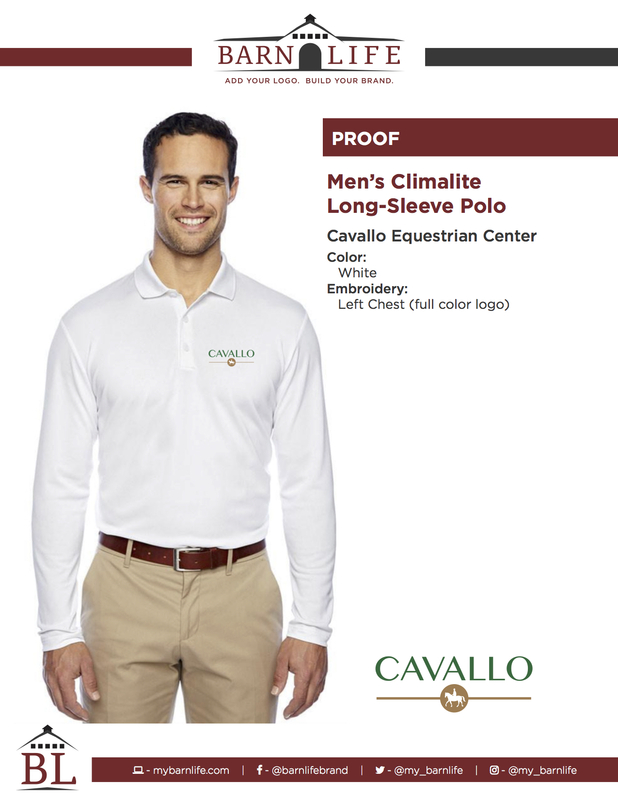 Scroll down to the Cavallo logo. We designed this version of the Cavallo logo to be simple for embroidery. 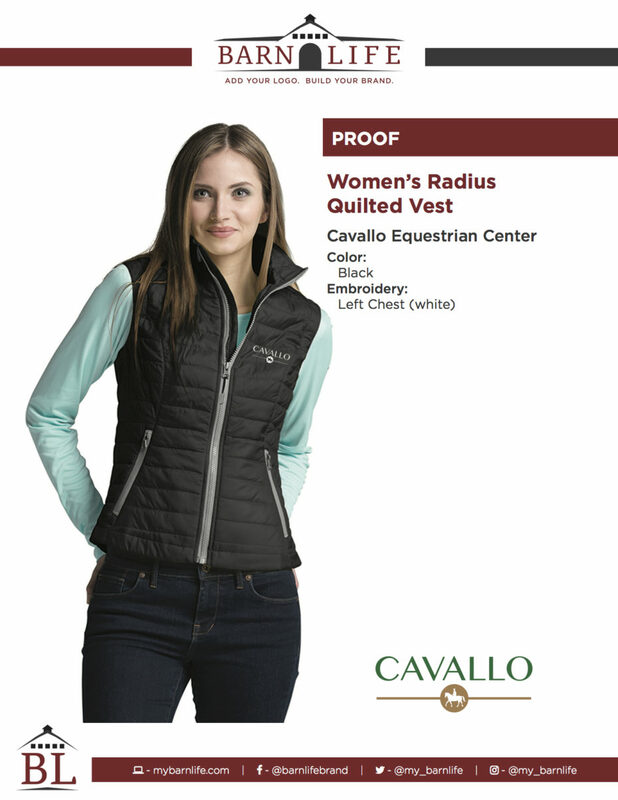 It contains 3 colors; green (Cavallo), brown (horse/rider & horizontal line) and black (EQUESTRIAN CENTER). TIP: When choosing the embroidery color (#4 above) the “Full Color” selection will get you the 3 color logo described under above (green, brown & black). If you select “Black” or “White” for the logo embroidery color, that will change all 3 colors to an “all black” or “all white” logo.